Nigeria Gists: NNPC reports profit of N274m for the month of May; ...first operating profit in 15 years! 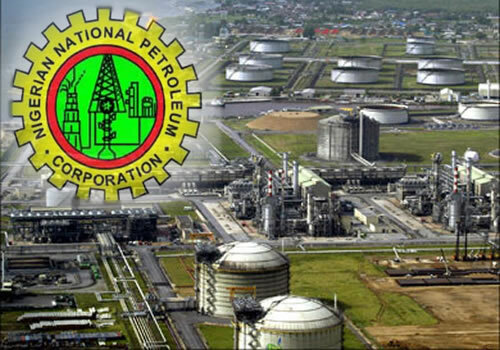 NNPC reports profit of N274m for the month of May; ...first operating profit in 15 years! After ten months under the stewardship of Dr. Ibe Kachikwu as the Group Managing Director of the Nigerian National Petroleum Corporation (NNPC), the state-run oil firm finally turned the corner, reporting an operating profit of N273.74 million for the month of May and reversing the losses of N35 billion made by NNPC over the last 15 years. A copy of NNPC’s monthly financial and operations management report showed that the corporation’s N273.74 million operating profit in May 2016 as against its operating loss of N19.43 billion in April was attributed to improved cost efficiency at the corporate headquarters of NNPC and performance by the Petroleum Products Marketing Company (PPMC). The report said the deficit “was inverted in the month of May 2016 due to significant increase in revenue generation which could be attributed to the rise in petroleum product sales by 51.13%”. However, NPDC’s substantial portion of crude sales for the month amounting to about N20 billion could not be realised due to crude pipeline vandalism. The report also highlighted the corporation’s activities for twelve months period of June 2015 – May 2016 to allow for trend recognition. In the area of crude oil and condensate production, the report showed that a total of 59.56 million barrels of crude oil and condensate was produced in the month of April 2016, representing average daily production of 1.99 million barrels and a decrease of 1.72% compared to March 2016 performance.